1. Visit Schools and meet Students / Counselors with a view to socialize and provide information about Indian Education. 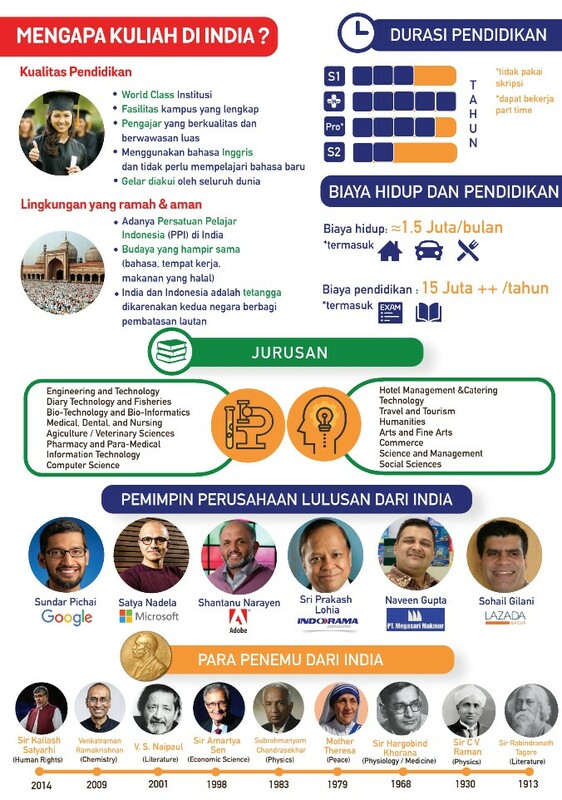 – Enhance Educational links between India and Indonesia. 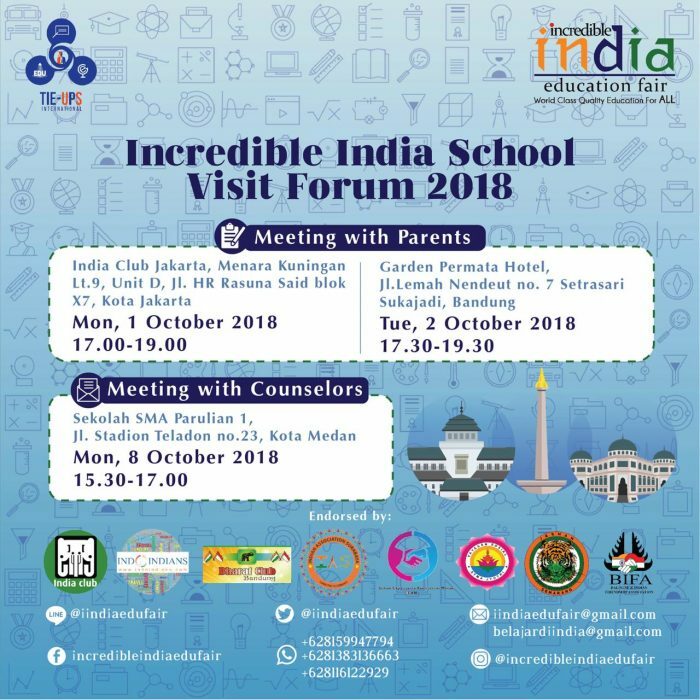 IISVF2018 is endorsed by India Club Jakarta, Indoindians, Bharat Club, IAS Surabaya, IEAM Medan, Jashn Semarang and others.